Hello there! I'm Charlotte from England. 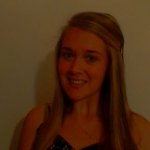 I am a fully qualified English teacher with several TEFL qualifications, English exam qualifications and up to date training. See below for specific courses I run! I have experience preparing students for Cambridge starters, movers, flyers, KET, PET, First certificate courses and IELTS as well as general English practice. I have worked in schools in Italy, Ghana, Croatia and Vietnam and currently online for both Verbling and independent Chinese schools to all age groups and levels. Whether you are looking for your child to start learning English or whether they go to an international school and need help with their school work or homework, I am able to help. I can teach reading, writing, spelling, speaking, reading, listening and grammar. However, the main aim is for the child to have fun. The more fun the child has learning a language the easier it is for them to learn! I have a very fun, supportive teaching method, learning through videos, games, stories, songs and much more. International school children - I can help with homework/ exam/ school work or general English (phonetics/ British school system work/ spelling etc). I have 2 years classroom experience and 3 years online experience preparing students for these exams. Lessons are fun, interactive and engaging with learning material given. I have 2 years classroom experience and 3 years online experience as well as a Cambridge exams qualification to teach this exam after completing a training course. Whether you would like to practice for all 4 parts of the exam or just one section, send me a message to discuss your needs. I have lots of materials, tips and tricks to enable you to pass the exam with flying colours! I take students preparing for IELTS exams. I have been on a specific 2 day teacher training course to learn how to teach IELTS, which was run by IELTS and British Council. There I have learnt many inside tips on how to score the higher bands and tips on how to teach you! Let's work together to achieve the band score you need for your career, university, study abroad placement! Whether you would like conversation lessons, gain confidence in English, perfect your grammar or pronunciation, writing, listening and comprehension skills or much more you have come to the right place. I tailor make the lesson to you, meaning what you would like to learn is what you will learn. Every student is different! Please contact me and I can give you a more personalised description relevant to your needs. I understand learning a new language isn't always easy, I have learnt 5 languages myself. However, it IS possible and we can work together to find the best way for you to learn. I can make lessons on specific topics or areas if you let me know. Conversation lessons are also possible. Contact me if you are interested and lets learn English! I am also available to teach beginners Italian or French to students wanting to be taught in the English medium.